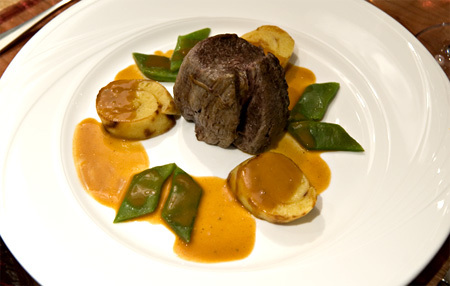 A unique oppurtunity to have one of Zermatt's top Chefs to come and cook a gourmet meal for you in the Chalet. 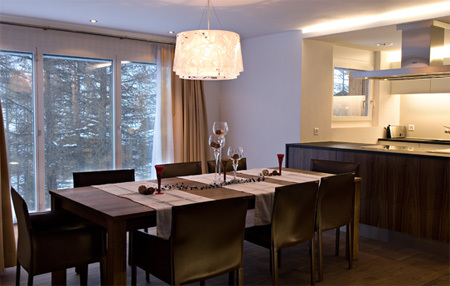 Chalet Amber is located in the lovely area of Winkelmatten. 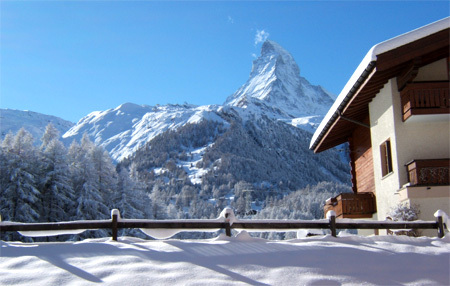 With beautiful views of the Matterhorn and set in tranquil surroundings this is the perfect accommodation for a relaxing holiday. 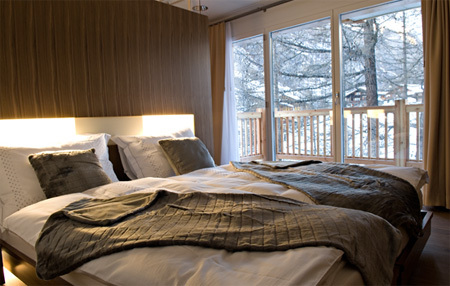 It is a short walk to the Matterhorn departure station or ski bus and just a 15 minute walk to the town centre. 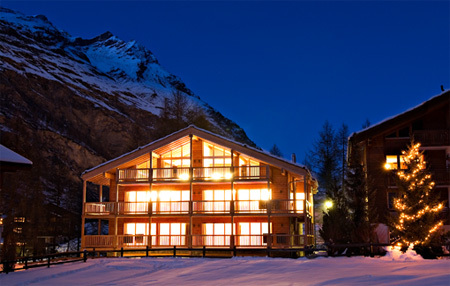 Chalet Amber has 4 luxury 5 star duplex apartments with a wellness area, available to all residents, which includes a sauna, steam bath, adventure shower and a juice bar. The two penthouse apartments (180 m²) each have 3 double bedrooms with en-suite bathrooms and an extra bathroom with a Jacuzzi. There is an open-plan kitchen/dining area and large lounge with a wood-burning fireplace. The two larger apartments (220 m²) each have 4 double bedrooms also with en-suite bathrooms, extra bathroom with Jacuzzi, open-plan kitchen/dining area, and lounge with wood-burning fireplace. All of the apartments have PC, printer, broadband Internet, WIFI connection, large LCD screen TV with cable television, DVD and CD. 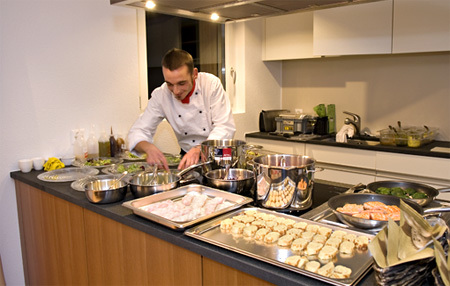 Chalet Amber is the ideal location for small corporate events (maximum 28 people) with its luxury apartments, wellness area, catering facilities, quiet location and it has a very well equipped modern conference room. Please contact us about a reservation request for apartment Amber — we're happy to answer any questions you might have. Site construction by: bSoftware and fourth life. © 2006-2011 ~ All rights reserved.